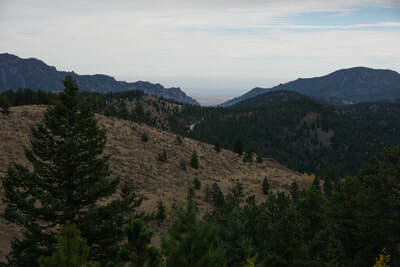 Directions: From Boulder, head west on Canyon Boulevard (Colorado Highway 119) to Magnolia Road (about 4.5 miles up from the mouth of the canyon). 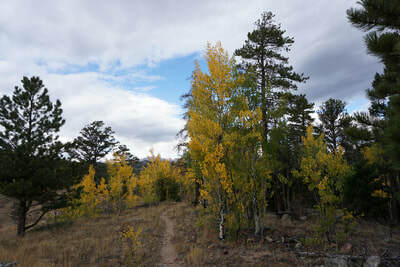 Turn south on Magnolia and follow it for 6.6 miles. 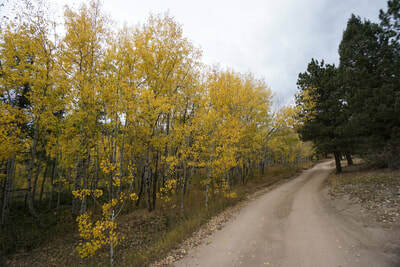 Turn south on Boulder County Road 68 (good dirt road) and follow it two miles to the parking area for Forsythe Canyon. 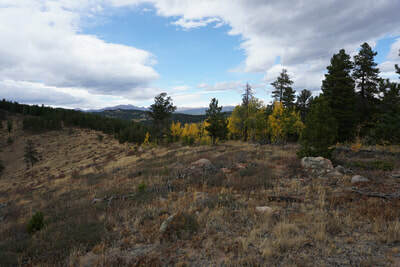 From the parking area, continue east on FS Road 359 (seasonally gated) for .6 miles to a 4-way junction, turn left to stay on 359. 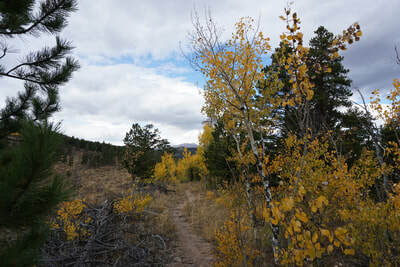 Continue for another 1 tenth of a mile to the parking area and trailhead. 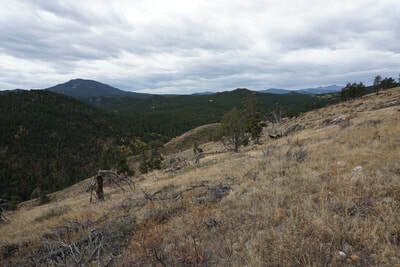 FS 359 is narrow and has rocky and steep sections. 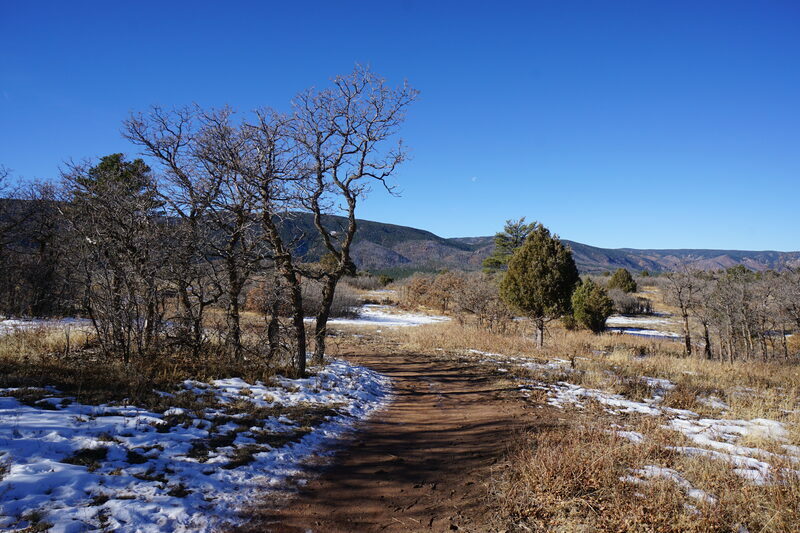 SUV is required and 4WD is suggested. 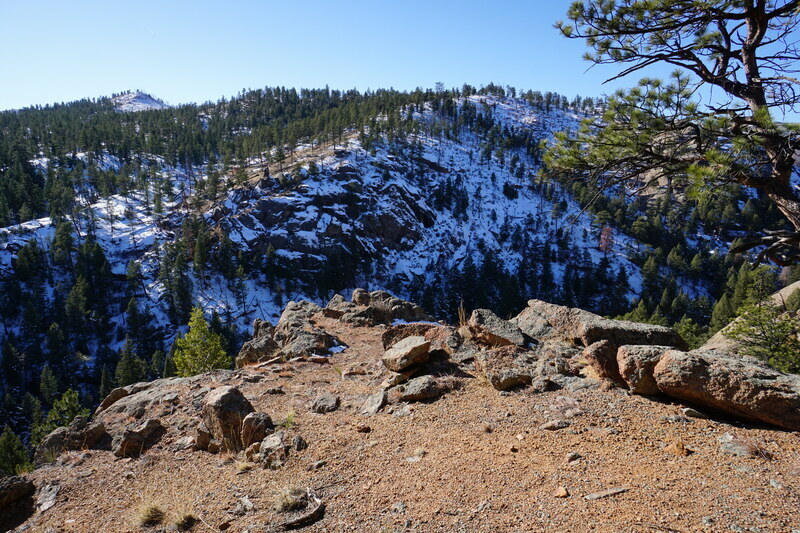 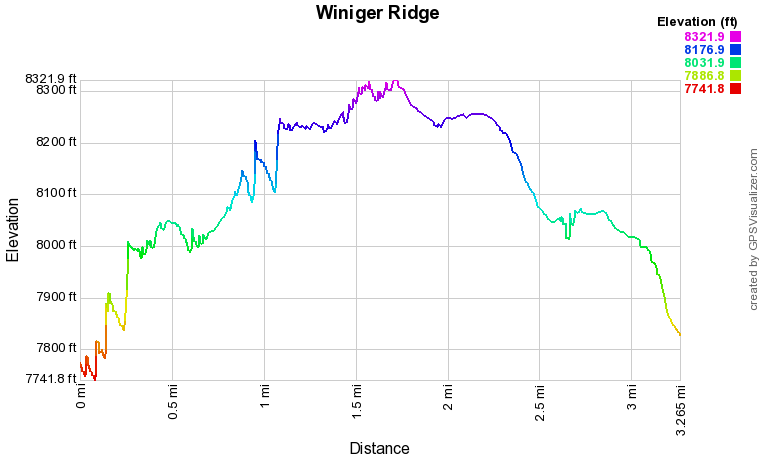 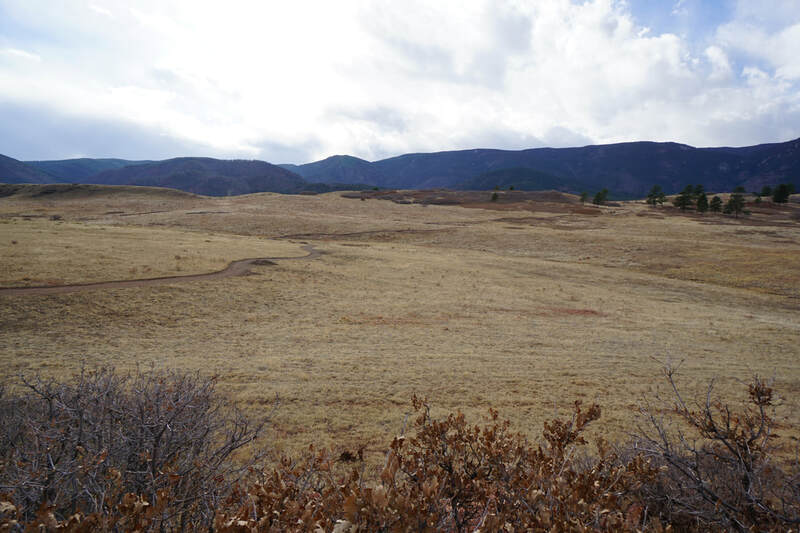 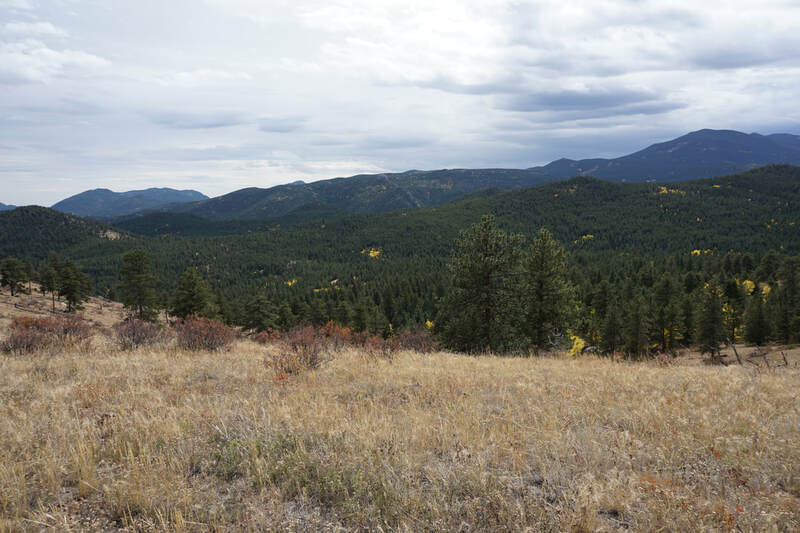 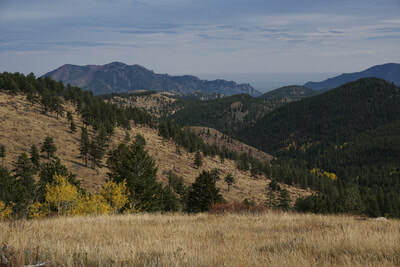 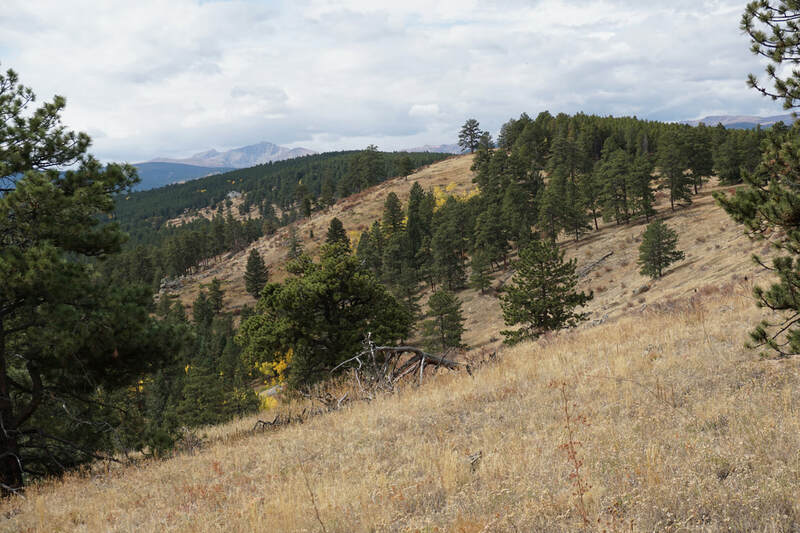 Winiger Ridge lies just west of Gross Reservoir, west of Boulder, off of Magnolia Road. 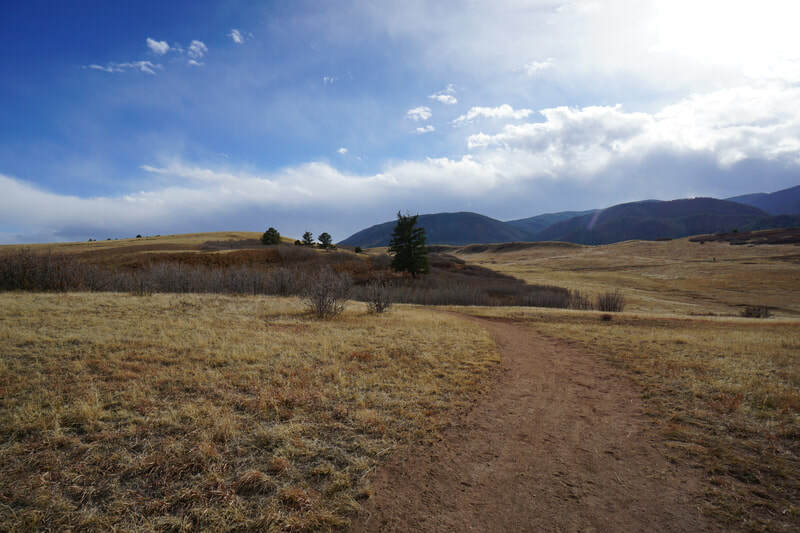 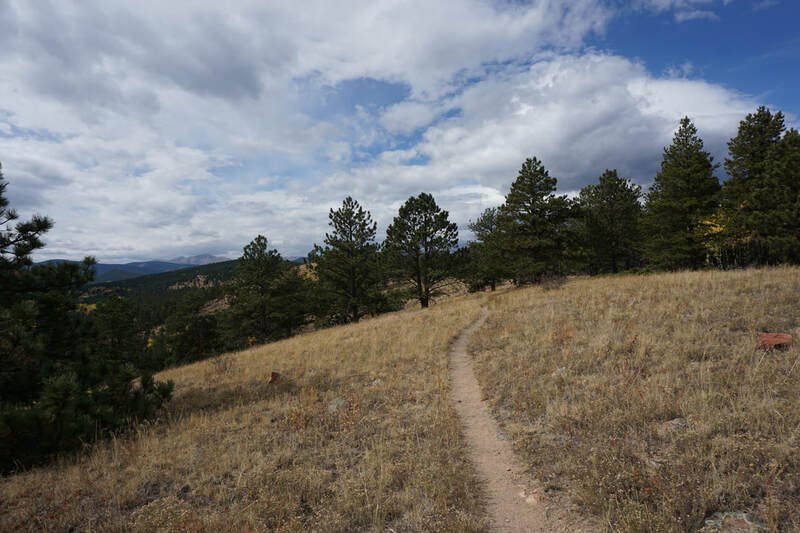 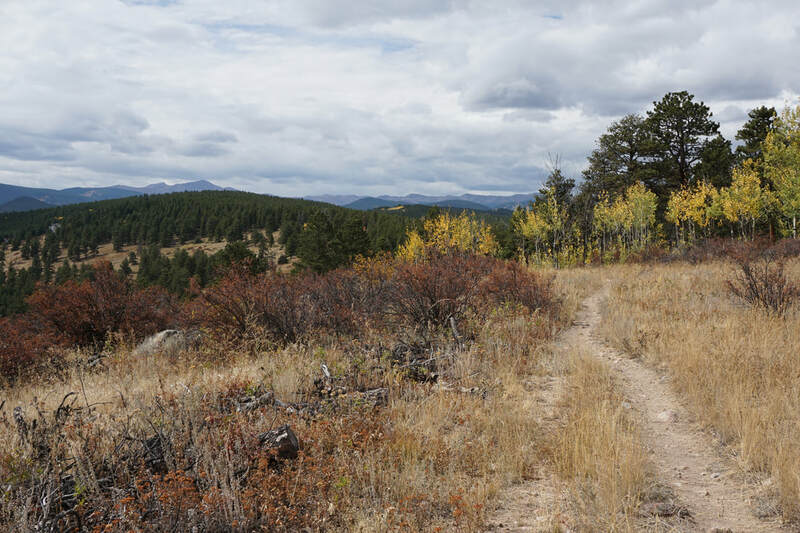 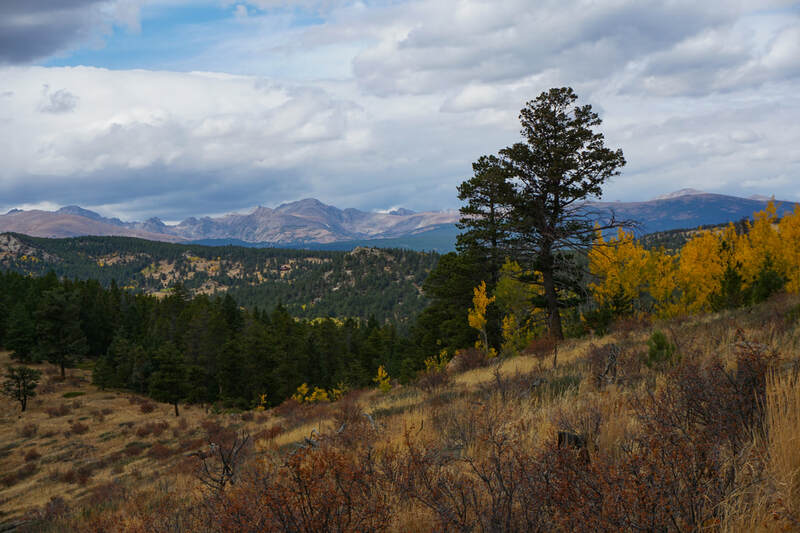 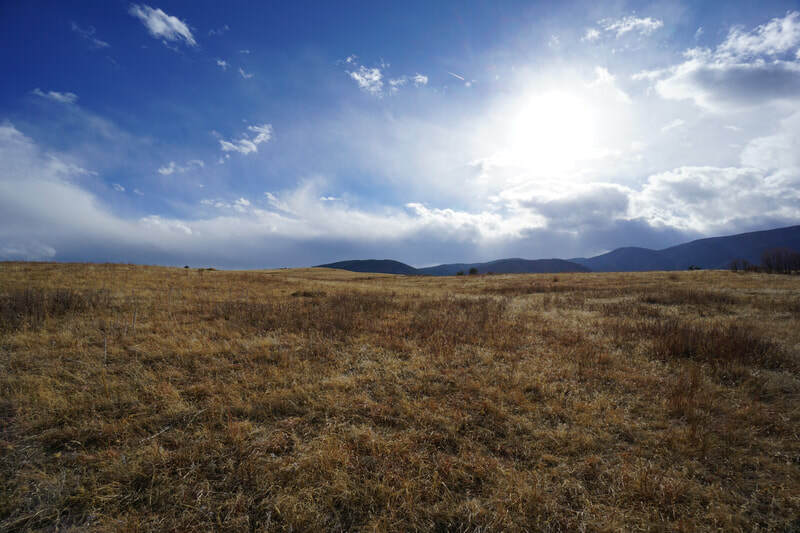 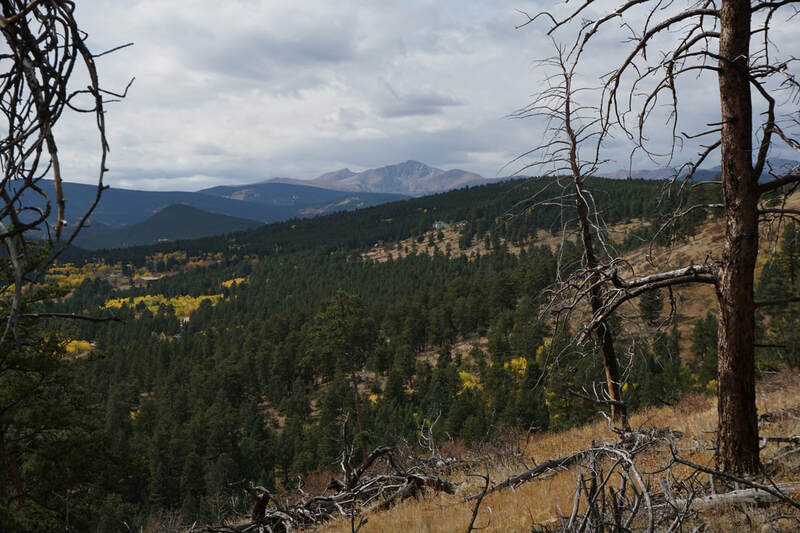 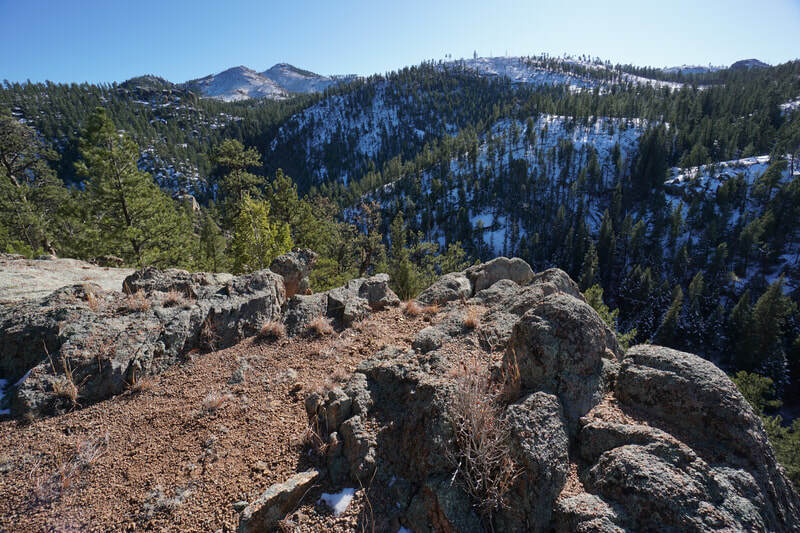 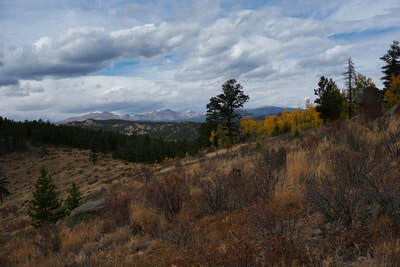 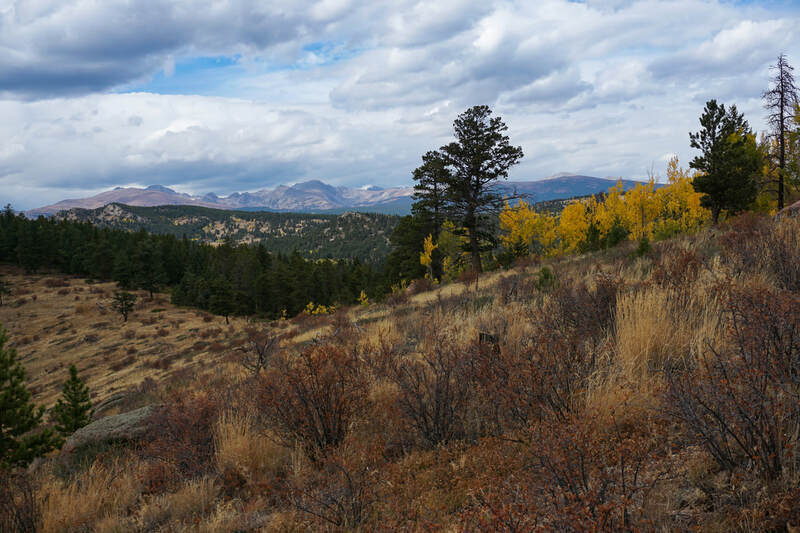 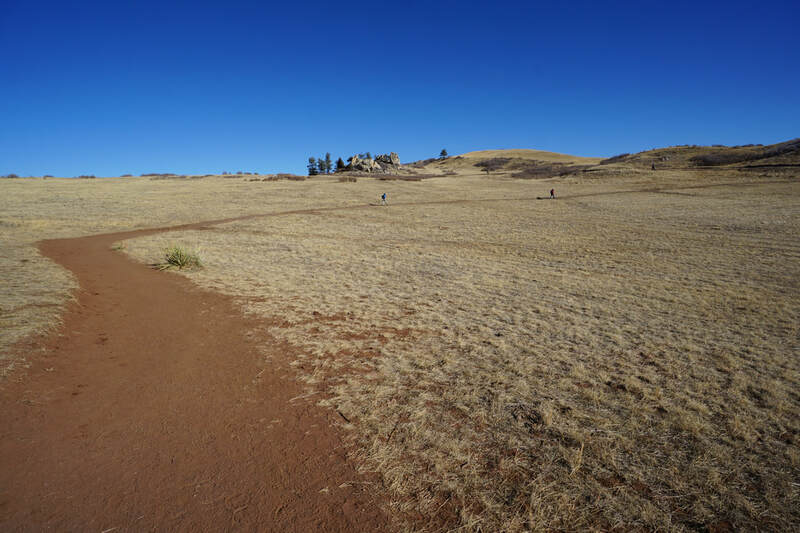 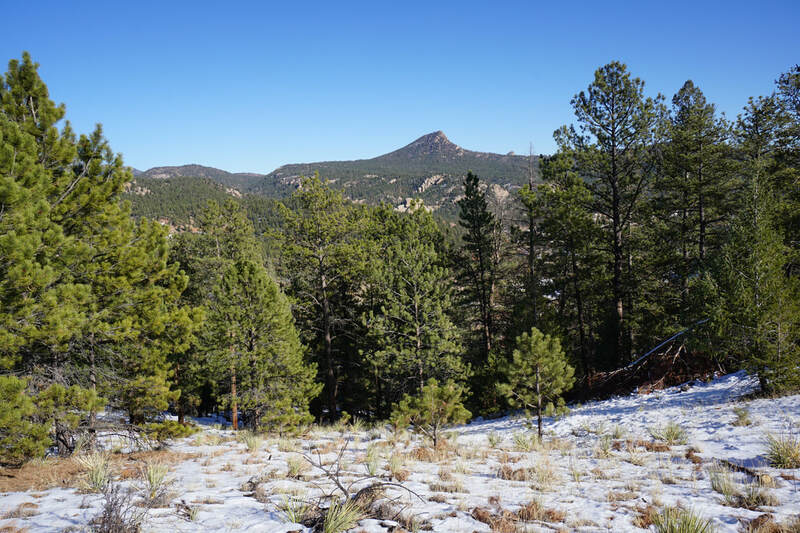 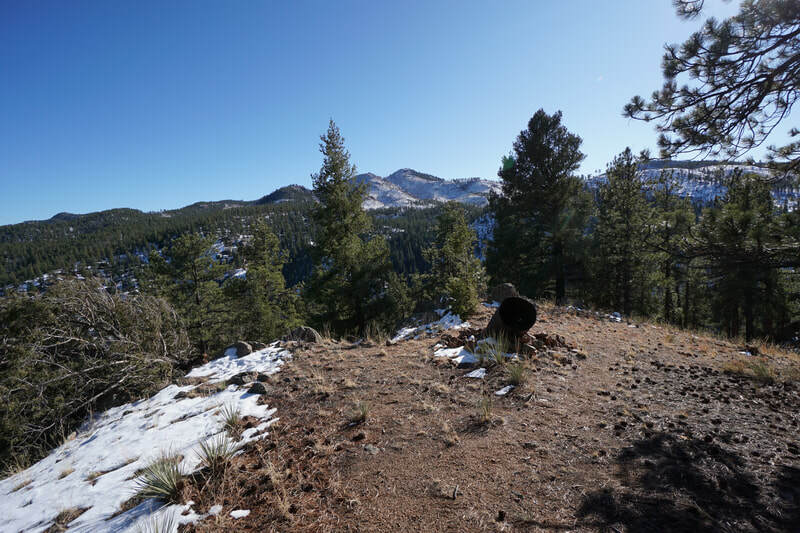 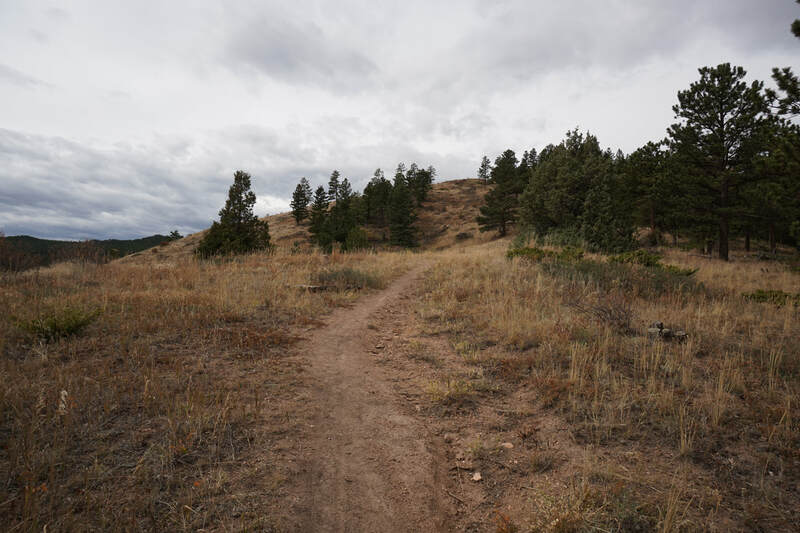 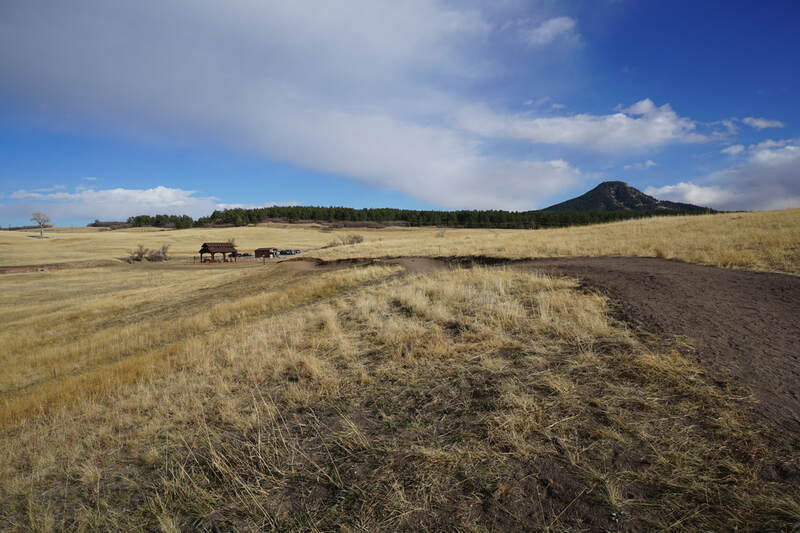 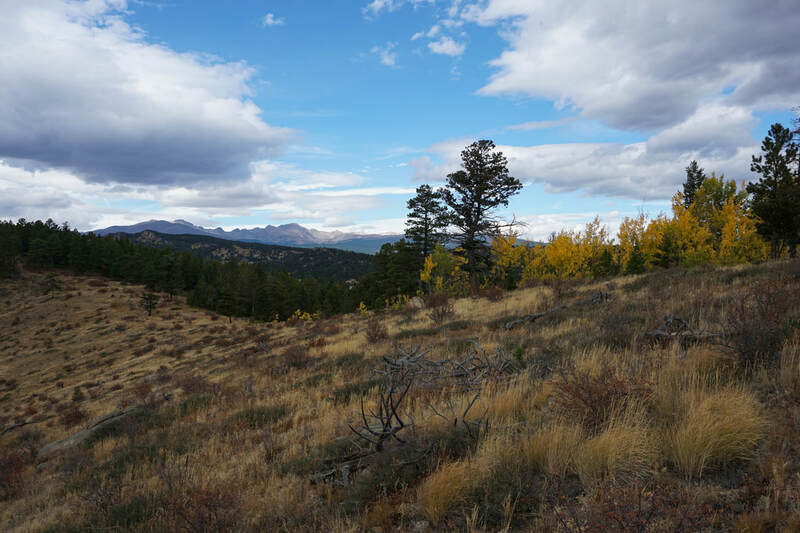 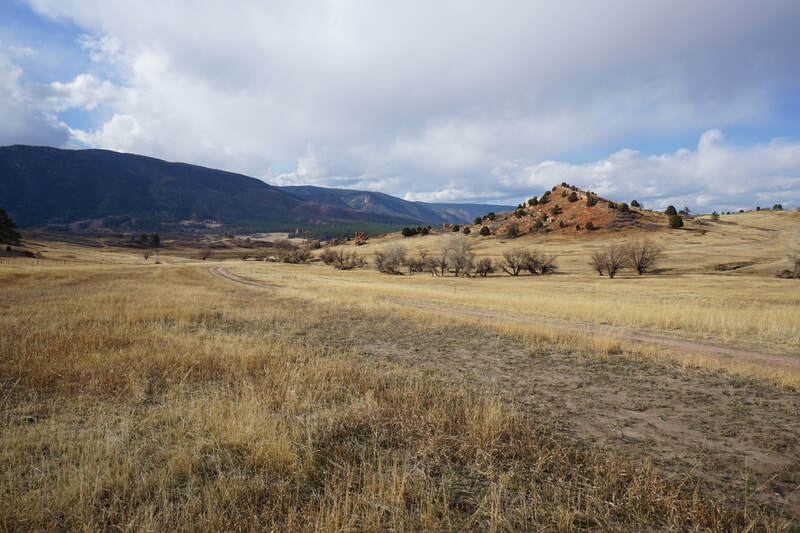 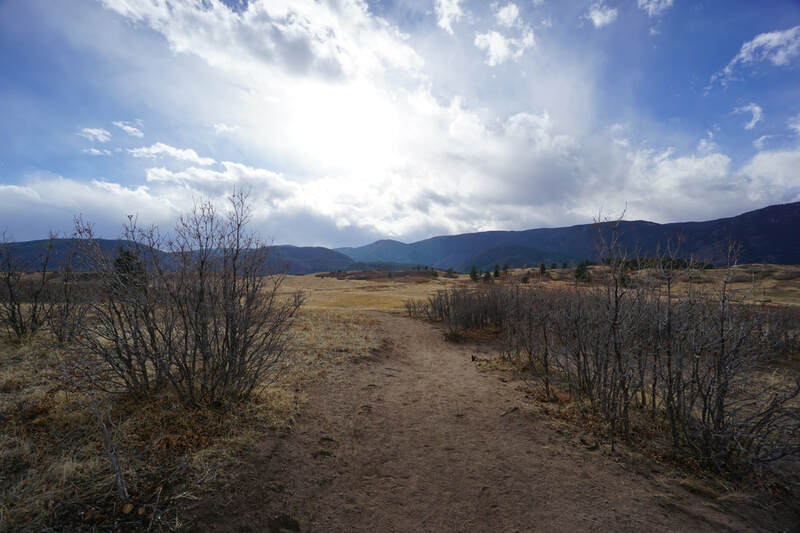 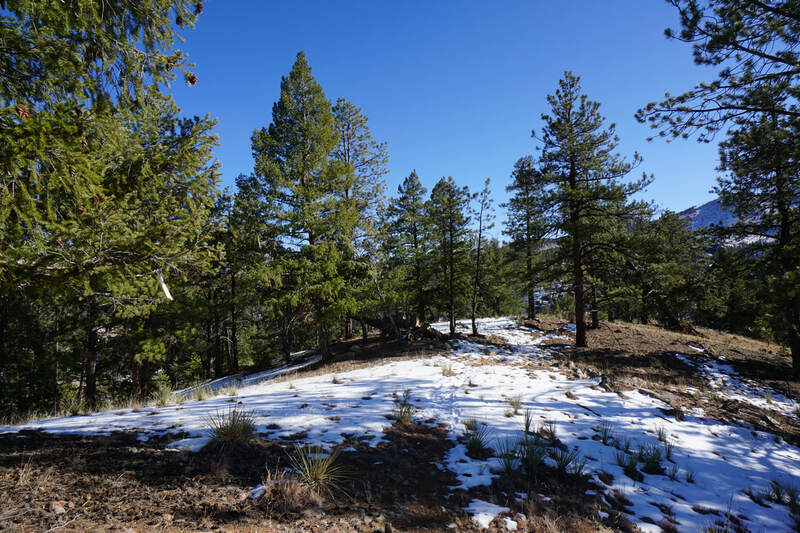 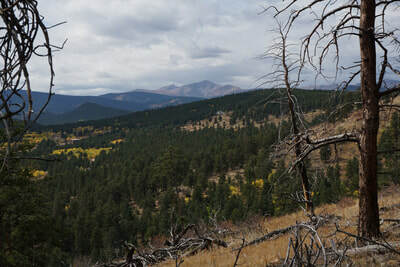 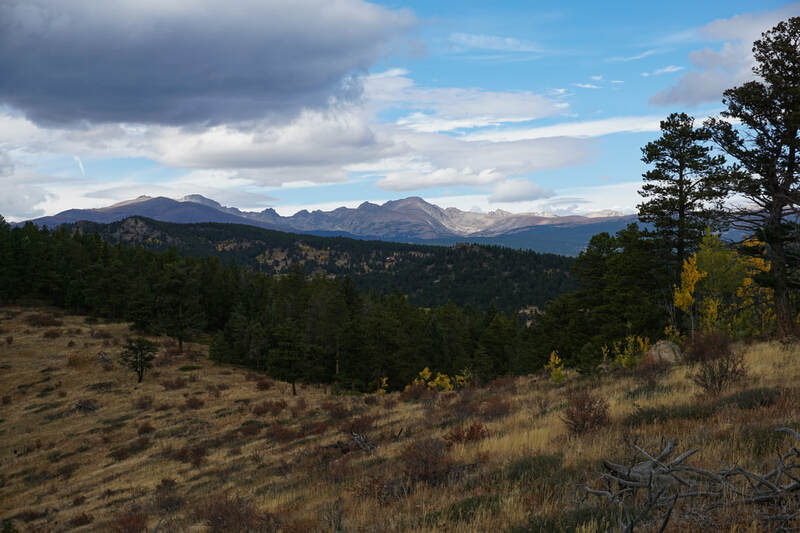 The trail follows a gentle ridge to a series of hill summits with wonderful views of the surrounding foothills and the Continental Divide to the west. 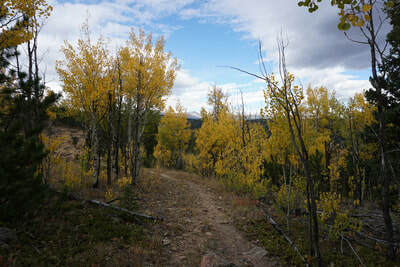 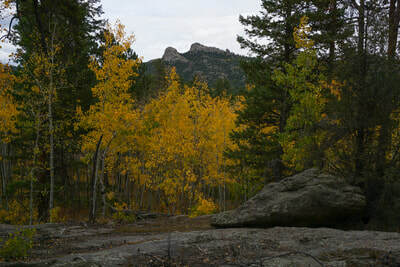 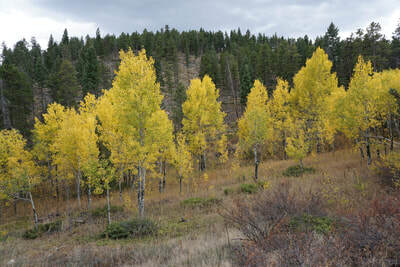 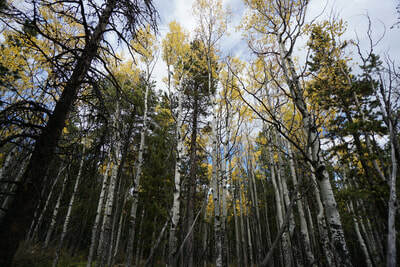 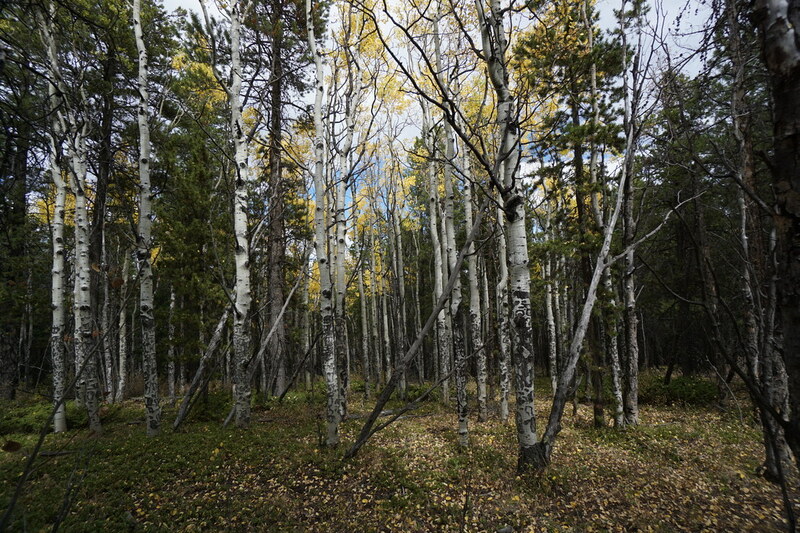 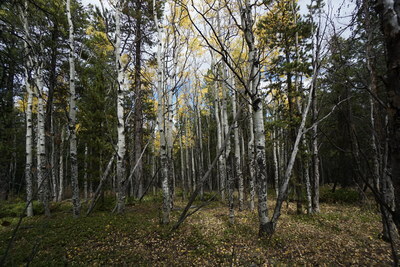 The trail passes through several nice aspen groves making this trail extra special in late September and early October. 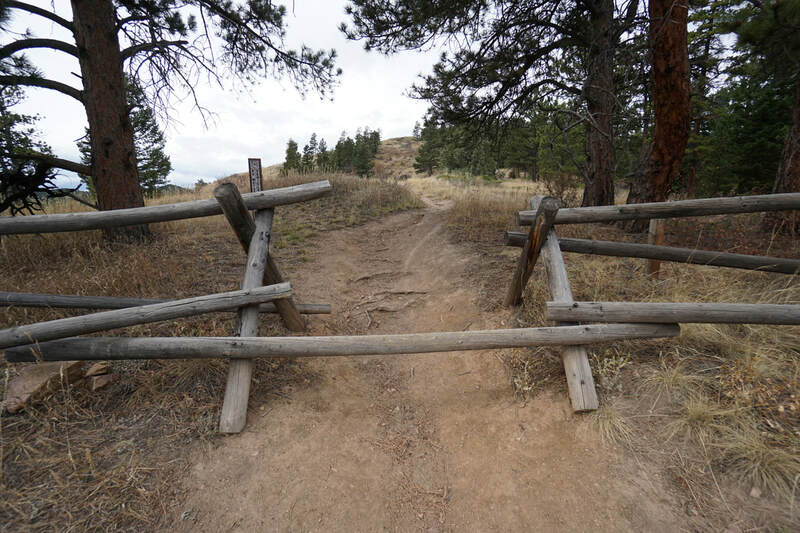 The trail is good for kids and sees far fewer visitors than surrounding Boulder County trails. From the trailhead, the trail goes straight up to the first hill with the first section being the steepest part of the hike. The trail is interesting as the views to the north are almost completely blocked by thick pine forest, while the southern face of the ridge consists of completely open terrain. 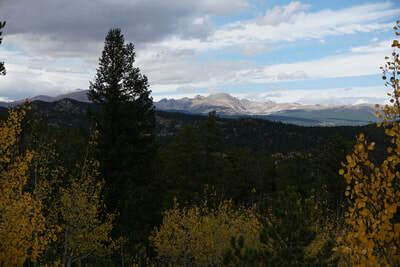 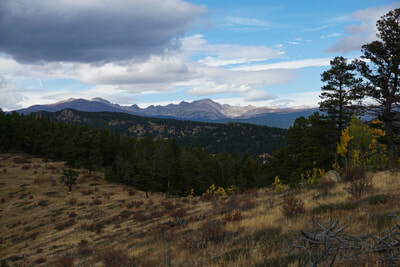 That being said, at the top of the first hill, you are treated to wonderful views of the Indian Peaks to the northwest. 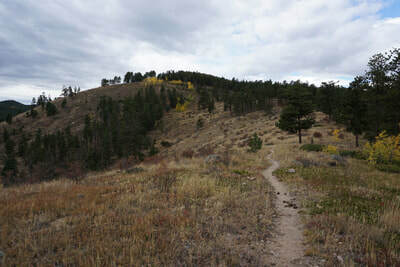 From the first hill, descend and quickly climb to the second hill. 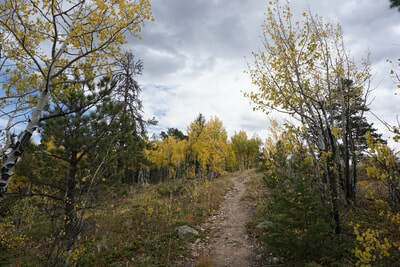 The second hill appears to tower over the first, but once you are hiking you realize that the climb is actually extremely gentle. 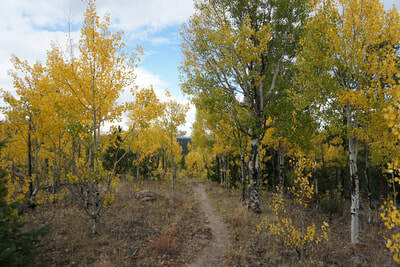 From the second hill the trail flattens and passes by a beautiful aspen grove. 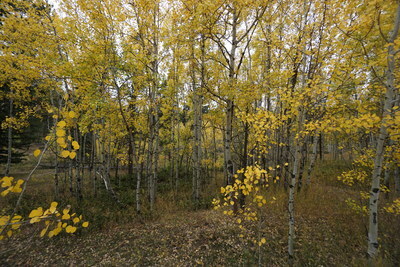 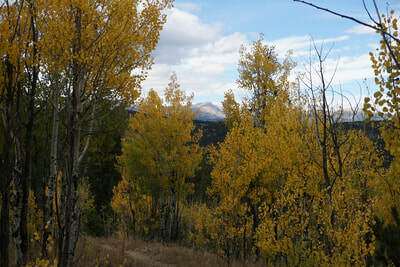 The third hill is an easy hike away and the aspen grove atop the third hill is a good turnaround point. 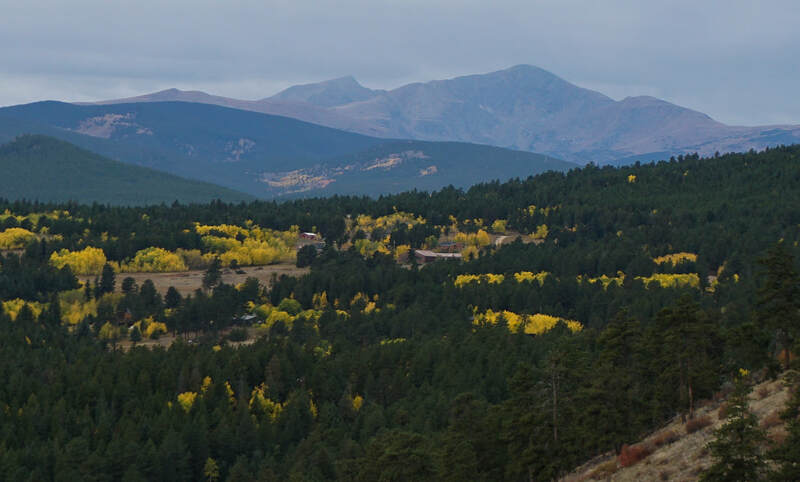 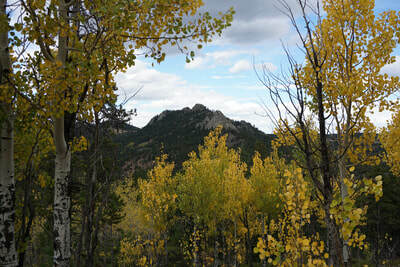 The views from the third hill are fantastic as James Peak stands proudly to the west. 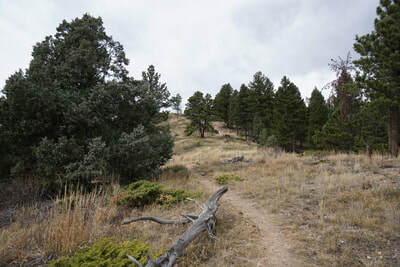 From the third hill the trail descends into pine forest and enters a residential area. 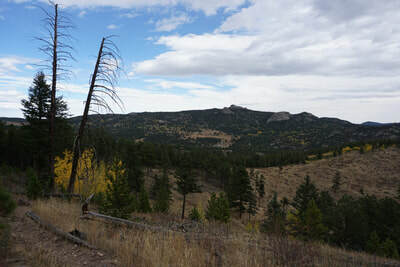 Hiking from the trailhead to the third hill and back forms roughly a 3 mile out and back hike. 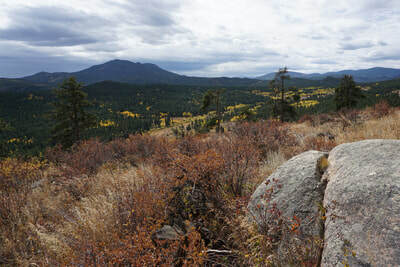 Not too strenuous but with amazing views and few people, this trail is certainly worth exploring, especially in the fall. 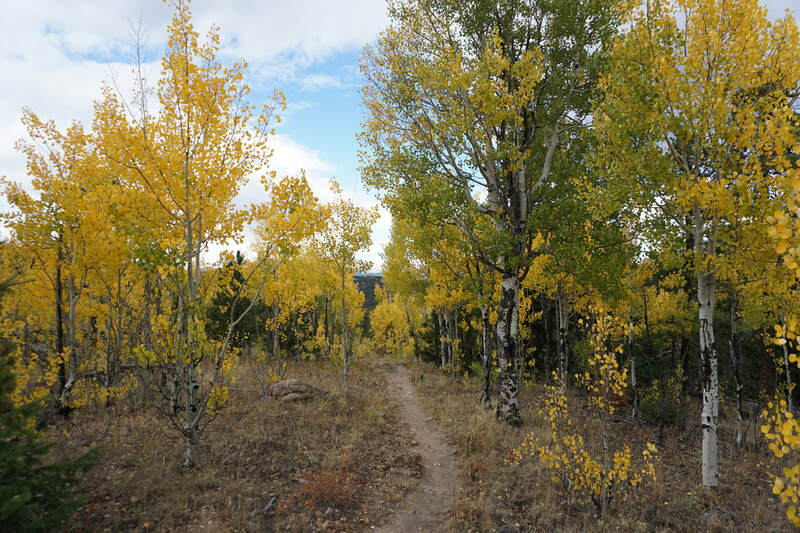 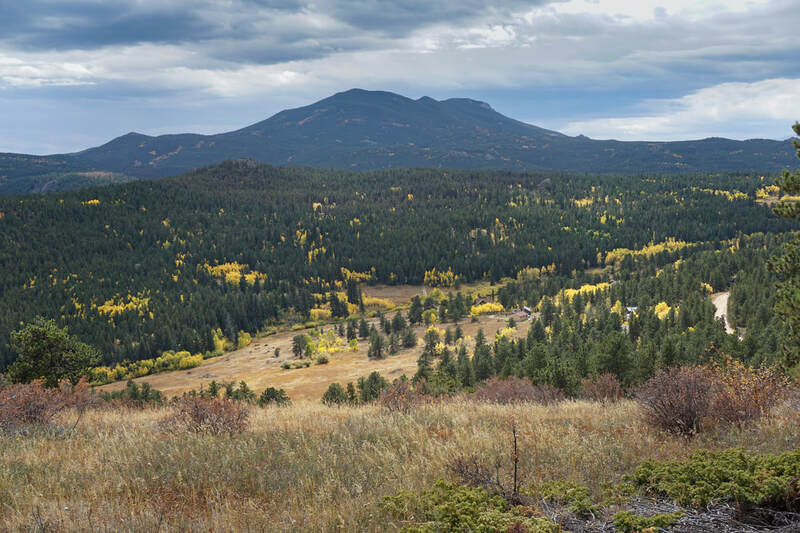 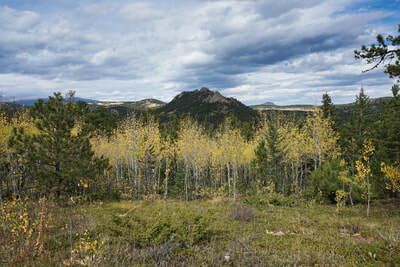 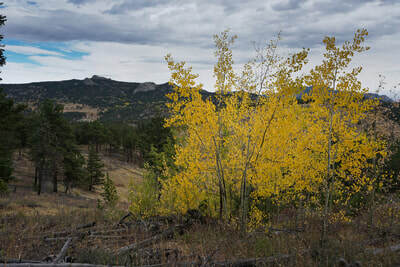 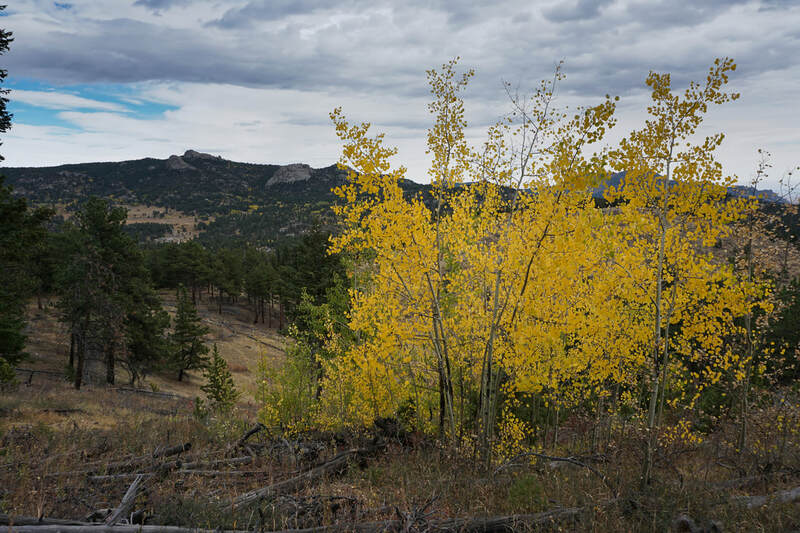 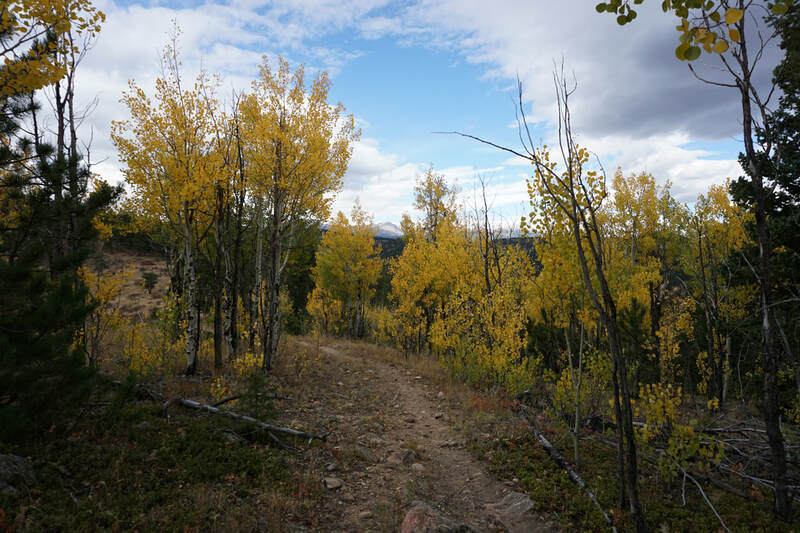 By the way, if you are hiking this trail in the fall, I recommend parking a little ways down on FS 359 as the hike along the road explores some fantastic aspen groves with amazing fall color as well as nice views of Gross Reservoir to the east and the Twin Sisters Peak to the north. These views are easily missed when you are driving this road.